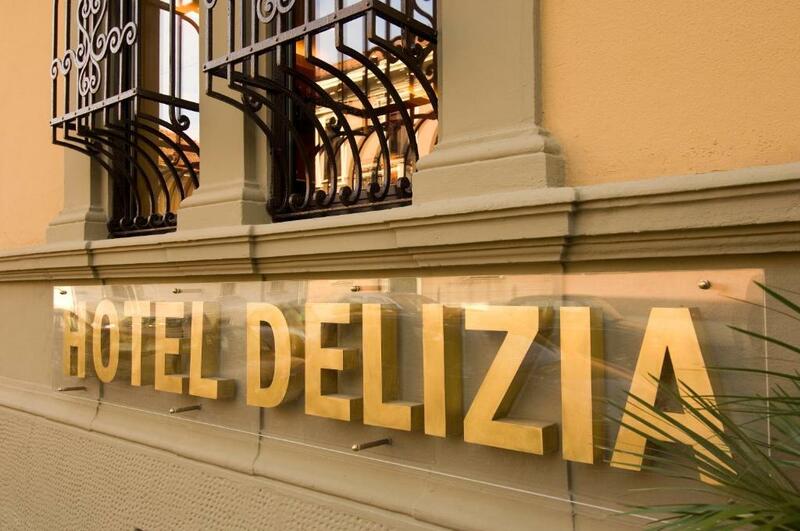 Lock in a great price for Hotel Delizia – rated 8.2 by recent guests! Location was good not exactly centre but 2 kms off. It served my purpose. The staff were elderly but helpful. The staff was efficient and helpful. The location is really good!!! Less than 5 minutes on foot from the station Milano Dateo. The staff was so nice and friend. The room and bed were comfortable. The hotel and staff were great. Couldn't fault them. The rooms were nice, the wifi worked, the staff were great especially the guy during the morning/day. Always happy to help and answer questions and make another coffee. We chose the location because we were visiting friends living nearby, but although not close to the centre it is a nice quiet neighbourhood with easy transport facilities. It was very clean with helpful staff 24h a day. Our room at the back was very quiet. Delizia is in a nice, quiet street. Our room was at the back of the hotel, and there was no noise at all. It had a nice high ceiling, and we could open the window for some fresh air. It was close to various public transport options. 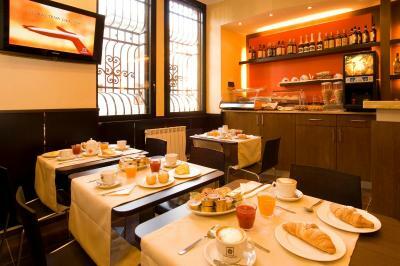 The breakfast bar is small, but the croissants and the coffee were very nice. Staff was welcoming and very friendly, which is not that common nowadays. Breakfast spread was decent and it is very near to many buses. It was so accessible that we only took buses for our 3 days trip in Milan. 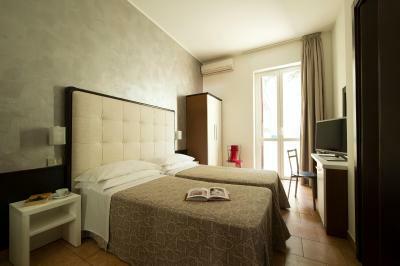 You have to stay here if you have a flight to catch at linate airport. It’s only a 15 mins bus ride away from a bus stop which is 5 mins away by foot. Extremely convenient! Everything was really good. The staff was friendly in offering support and details about our staying. 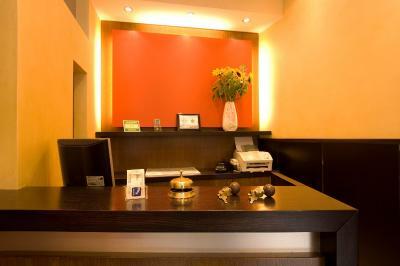 The entire hotel is clean, and the room was spacious, clean, quiet, and the bed really comfortable. I had a really good staying and for the payed money, the returned values is the best. I totally recommend it. 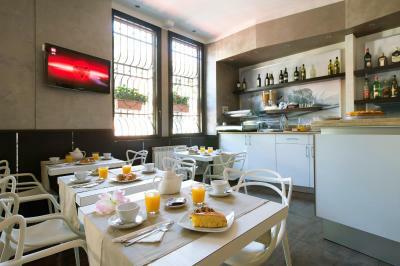 Nice location, nice people and breakfast included!! And clean. Cheap and not pretentious. 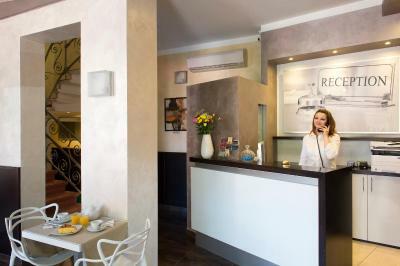 Hotel Delizia This rating is a reflection of how the property compares to the industry standard when it comes to price, facilities and services available. It's based on a self-evaluation by the property. Use this rating to help choose your stay! 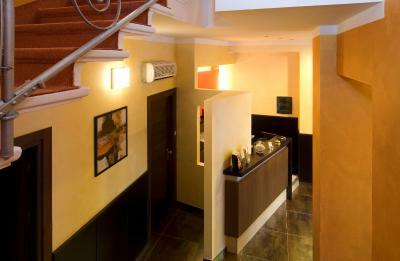 Hotel Delizia offers delightful, convenient and peaceful accommodations in a privileged position in the residential area of Porta Vittoria, right by the university district known as Città degli Studi. Wi-Fi is free. 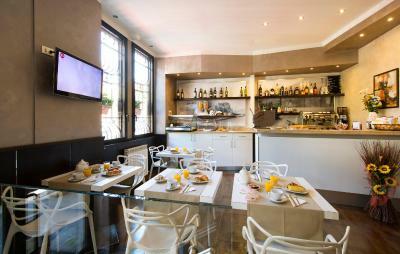 The hotel is well connected by public transport and all the major city landmarks are a few minutes away, including the Duomo Cathedral and the entire city center. 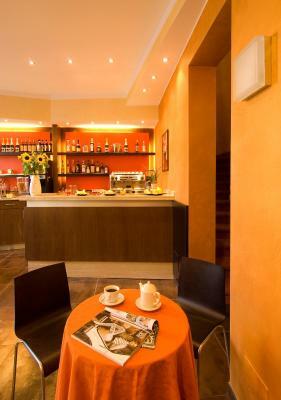 The Delizia is set in a lively area, scattered with restaurants, pizzerias, cinemas, discos and clubs. 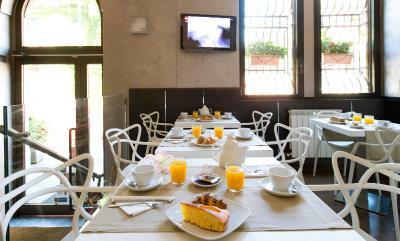 It is just a few steps from Dateo Train Station, on the Milan Passante Railway. The rooms are quiet, spacious, modern and functional and are equipped with a range of facilities, including room bar service for the maximum comfort. 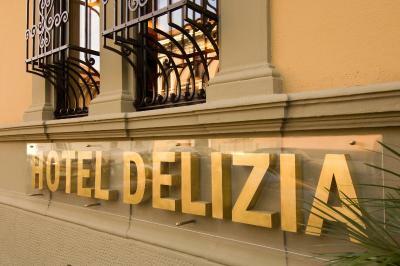 When would you like to stay at Hotel Delizia? 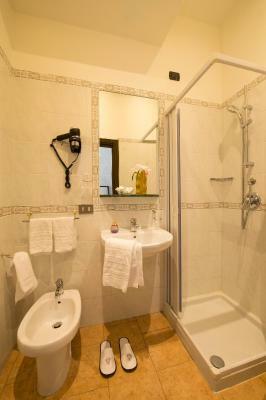 Bright, air-conditioned room with an LCD satellite TV and fully equipped private bathroom. 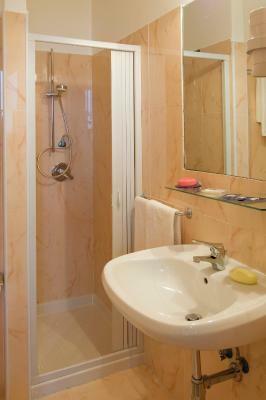 This triple room features a mini-bar, tile/marble floor and air conditioning. 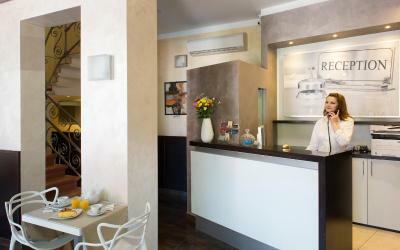 House Rules Hotel Delizia takes special requests – add in the next step! 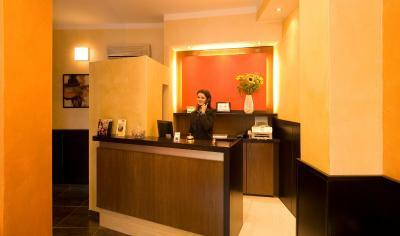 ATM card Hotel Delizia accepts these cards and reserves the right to temporarily hold an amount prior to arrival. Hotel Delizia accepts these cards and reserves the right to temporarily hold an amount prior to arrival. The room was rather small and so were the beds. Expensive for the facilities offered. I have been in better places for the same price; it's overpriced. Room not so clean. I thought the hotel was expensive for what we got - the room was very small (much smaller than it seemed in the photos) and so was the bathroom. But, it was a very expensive week in Milan, and maybe we just booked too late. It got a little cold in the morning. Can’t really adjust the radiator, or maybe it’s just me not knowing how. Away from the city central. May not appeal to people who loves to be in the middle of all the action. There was city tax charge not mentioned in the price and charged after my stay. WiFi didn’t work most of the time in room. You could hear everything arround. I used my ear plugs to sleep, always. Downside a bit of noise from from outside, bathrooms clean but kind of very olè. Parking is very difficult - but you can't blame the hotel for that. I personally I don't like tile floors too much. Again, the hotel isn't too blame for personal preferences. 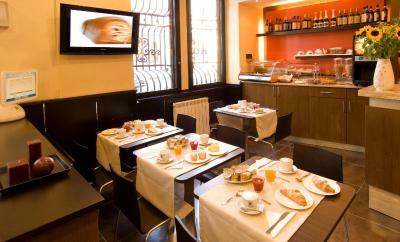 The breakfast offers a great start for a city tour. We had a room to the garden. There's not much view, but it's quiet. The room is clean and comfortable. Just that's common in Milan. Airconditioning was functional. 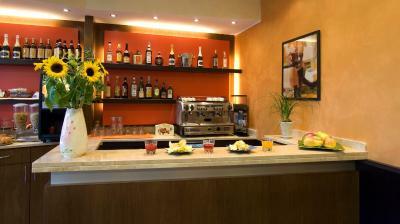 It's great as a venue for an overnight stay in Milan if you look for something between the center and the outskirts. 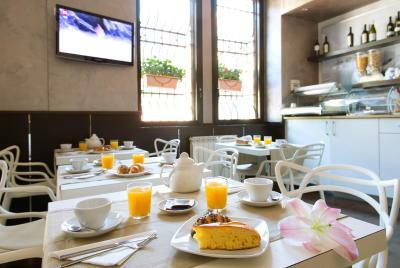 Ideal for family traveler, decent breakfast, clean room with a big bed and easy access to trams and buses going to Duomo. Close to Linate airport. Attentive staff named Julius made our stay more comfortable. I would highly recommend the place if you are touring the city. 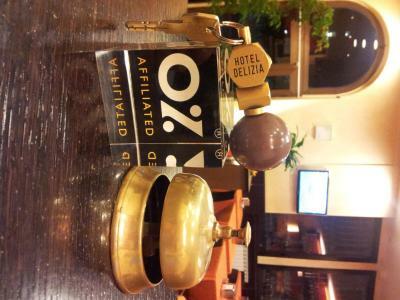 Thanks Hotel Delizia. Friendly staff! Good breakfast! 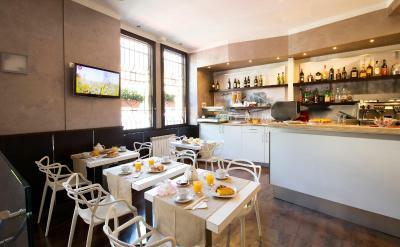 The hotel is close to Duomo and only one station from P. Venezia and Corso Buenos Aires. All the best for this hotel!